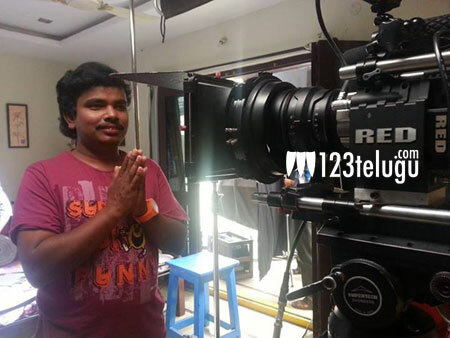 Sampoornesh Babu is easily one of the biggest newsmakers of 2013 as far as Telugu film industry is concerned. Right from the day the first look of his film, Hrudaya Kaleyam were released on the internet, he became a sensation. Soon, he was named as ‘Burning Star’ and within few days, his fan base grew by leaps and bounds. Directed by Steven Shankar, the film has Sampoornesh Babu playing the role of a criminal for whom police have been searching relentlessly. The first teaser was launched back in June and since then, very little information has been revealed about the film’s progress. Few months ago, we had reported that Hollywood technicians had worked on the film. Now, Sampoornesh Babu has revealed that a new trailer will be unveiled on December 2 and the audio is also expected to be launched in the same week in a grand way. After a long delay, the film is finally expected to hit the screens in last week of December.